Get this cute comfy t-shirt for the mini humans you adore with cute messages that would make them 10x more adorable than they already are! I have received my order.. Love it so much.. Thanks you Printcious???? Made an order and receive it one time. Really appreciate the quality and speed delivery. Truly unique products & custom made. Looking forward for more. I'm very satisfied with the product and it is so amazing and beautiful. I so love the slim fit for Kids. I'm excited to give my nephew the shirt. Hoping it will fit him perfectly!! Love the product that i received..will repeat order next time.its lovely! Size was smaller than expected. 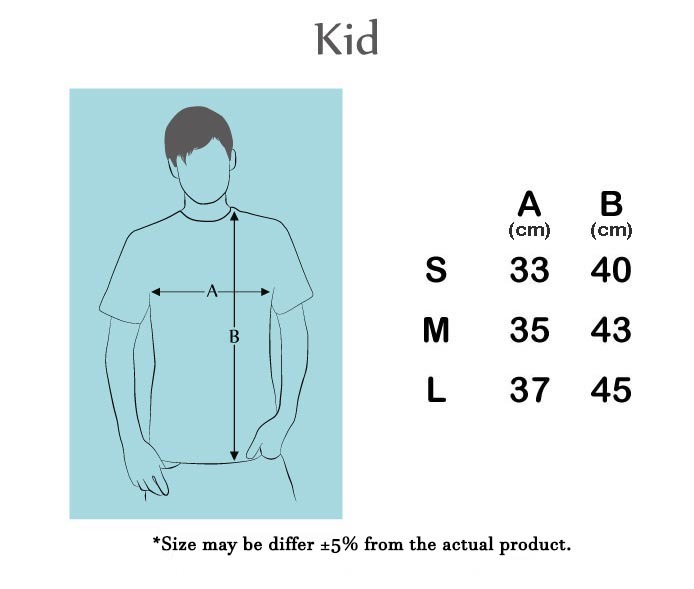 Ordered M size expecting a shirt which can fit a 8 year-old, instead it could barely fit a 4-5 year-old. Printing quality exceptional as always. Whole t-shirt color is light, even the words also. I see Printcious from time to time got lots of improvement especially in customer services & the online order system. Keep up the good work! Fast delivery;Very satisfied with quality of color & material of shirt and also fast response from customer service if you have inquiries. Its a nice Quality like the Graphic T shirt. I would wear it for myself if there are 2 sizes up. I like the length rather than the Man Graphic T-shirt size is longer. Good service..i love printcious!! picture of my kids very2 clear..they love it..